In our work with the C-suite of healthcare organizations across the country, one question comes up consistently after our initial training delivery: “What can we do as an organization to take better care of our people?” It is the core question of an administrator that understands the Quadruple Aim. Burnout is not a problem. There is no solution. This does not mean burnout cannot be addressed or that there is no way to take better care of the providers and staff. The first step in the process is to call burnout by its true name. … a never ending balancing act between the stress of the job and your ability to recharge your energy accounts. In our work with hundreds of burned out and over stressed physicians, we have found most successful recovery strategies are a simple blend of three to five new habits. You do three to five NEW things regularly from this point forward and it results in much more statisfaction and life balance. 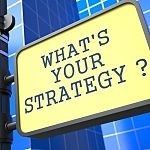 Your strategy is the way out of the workaholic's trap and Einstein's Insanity Definition. The current best practice for an individual physician is contained in our book Stop Physician Burnout. Hundreds of physicians have used the Ideal Job Description Process and the tools in the book to recover from burnout to a much more balanced life. Here are some testimonials. 2) Organizations must build an ongoing strategy too. Once an individual physician has made personal changes to lower stress, it is the organization's turn to play a role. To “take better care of your people” and lower burnout rates, your organization must also employ a three to five part strategy … not the magical thinking of “one thing done one time” to fix burnout once and for all. You cannot check the box on burnout prevention. You must fundamentally change the way you survey for and address the stresses of the physicians and staff. This is the reason academics have not been able to supply organizations with the best practices they are seeking. Academics study one change at a time. They modify one variable between the study and control groups in each experiment. This classic technique is fine if you are studying a simple problem that has a one step solution. This same methodology leads to confusion if you are trying to address a dilemma like burnout instead. Each study shows an improvement and leaders mistake each experimental result for the "magic bullet". What this is actually revealing is the nature of physician burnout as a dilemma. What specific combination of tools make up a maximally effective burnout prevention strategy? Fill the hole in the medical education process around stress management and burnout prevention. Establish a Burnout Prevention Working Group to create specific improvements in work flow designed to address specific workplace stressors. Build an effective crisis intervention system for all physicians. Implement a culture/social connection calendar of popular events to strengthen the bonds between everyone in the organization. We believe this Physician Engagement Formula is the current best practice for a system-wide, proactive burnout prevention strategy. Find out how the four segments of the Physician Engagement Formula could make a difference for your people with a Discovery Session Consult. This is one hour on the phone to discuss your situation in detail. No cost, no obligation, completely confidential. You can contact us directly in any one of the following three ways. How does Understanding Physician Burnout as a Dilemma help you see a way forward for yourself and your organization?